Enjoy wines and hospitality from America’s premier wine region. Where mountain touches the sky, pleasure stirs healing and discovery inspires the ultimate getaway. Napa and Sonoma Valley are simply unforgettable, and just 45 miles North of San Francisco. Napa County, once the producer of many different crops, is known today for its regional wine industry, rising to the first rank of wine regions with France by local wineries Stag’s Leap Wine Cellars and Chateau Montelena winning the “Judgment of Paris” in 1976. Founded in 1875, Beringer Vineyards is “the oldest continuously operating winery in the Napa Valley”, and is thus listed under both the National Register of Historical Places and as a California Historical Landmark. It was the first California winery to offer public tours after Prohibition’s repeal. Sonoma Valley is known as the birthplace of the California wine industry, the valley is home to some of the earliest vineyards and wineries in the state. “Sonoma” is a word of the Miwok, Pomo and Wintun peoples that is thought to translate to Valley of the Moon. Sonoma Plaza is the central plaza in the former town of Sonoma, California. The town is centered around this plaza, the largest plaza in California. This plaza is surrounded by many historical buildings, including the Mission San Francisco Solano, Captain Salvador Vallejo’s Casa Grande, the Presidio of Sonoma, the Blue Wing Inn, and the Toscano Hotel. We are experienced with providing you with the individual attention you need to make your visit a success. The Napa and Sonoma wine country is an intricate patchwork of appellations that span across three counties showcasing 400 wineries with distinctive contemporary and historical architectural styles, breathtaking panoramas, world-class restaurants, and gourmet food stores. The Mediterranean climate in this region provides exceptional growing conditions for several grape varieties, olive oil, lavender and numerous exotic herbs featured in our wonderful restaurants. There are several resorts as well, spas, horseback riding and hiking trails and tourist attractions, all within easy access. Napa Valley is one of the leading travel destinations in the world. Breathtaking views flourish at every turn, charming hills planted with vineyards, and wineries – from large, world-famous to small, intimate, family-run wineries – where the person behind the counter is often the winemaker. Whether you are wine tasting, dining at renowned restaurants, pampering yourself with a mud bath in Calistoga, or just enjoying your stay, Napa Valley is your spot of heaven on earth. 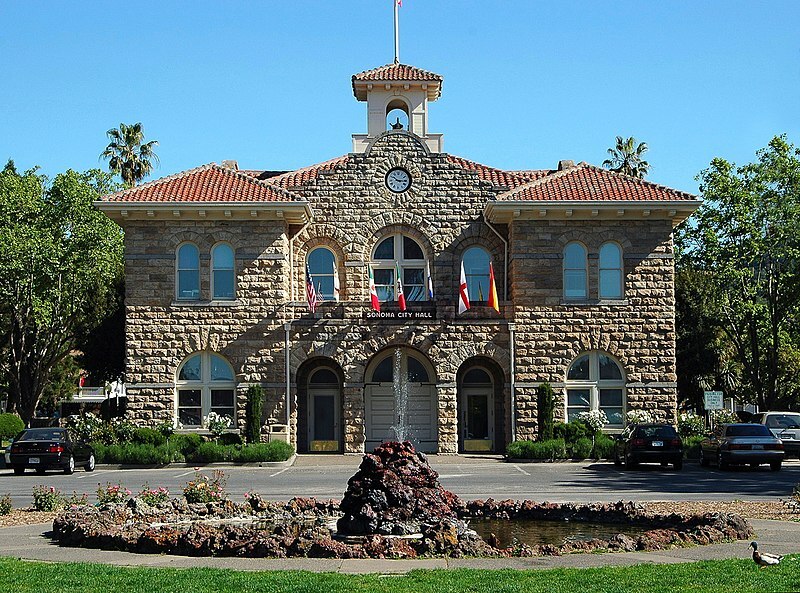 The historical town of Sonoma is the birthplace of California. Sonoma Plaza was designed by General Mariano Vallejo when this was Mexico. The last of the 21 California Missions (Mission de Solano) from 1823, the Bear Flag Revolt Memorial from June 14, 1846, Swiss hotel from 1909, Vallejo’s Military Barracks plus other historical sites are all on this plaza. Some of the architectural styles include Neo-classic, Gothic, Bordeaux, Greco-Roman and seventeenth-century-style Cape Dutch. In the region, there are also some establishments that are housed in magnificent structures worth a visit for even people who do not drink wine. There are also various boutique shops, lavender shops, spas, specialty wine and cheese shops, jewelry stores, gourmet food stores and restaurants, olive oil stores, kitchenware stores plus art studios and galleries. Cabernet Sauvignon, Cabernet Franc, Merlot, Zinfandel, Malbec, Chardonnay, Pinot Noir, Sauvignon Blanc, Syrah, Trampanillo, Muscat, Sangiovese, and late harvest wines. Generally speaking, we judge “favorite wineries” by many criteria. First, they produce good California wines. Second, the facility is pleasant. Third, the folks at the winery are nice to us. The list changes as our tastes and perceptions, as well as the wineries and wines, change. It goes without saying that this list is highly subjective and subject to change any time.